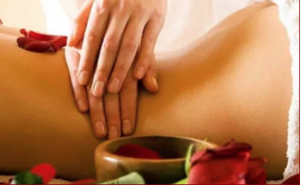 Learn how to give a tantra massage to your beloved at the Tantra Studio, we love to share from our knowledge and experience, we have seen how Tantra has touched the lives of many couples. A private tantra massage class for two consists of instruction and practice you both will have the opportunity to be a giver and receiver. For those of you who would like to explore the tantric mysteries even further, the power of touch session is recommended. The purpose of our massage class for couples is to reawaken, empower and inspire the spark, love, passion, and growth in your relationship. everything needed for the class is provided massage table, warm towels, oils etc. All our teachings take place in a profound respect for your privacy and intimacy as a couple. we will take time to talk prior to getting started if you have any questions you would like to address prior to your appointment please schedule a consultation appointment.